Recently, things have been tight. Thanks to car repairs, braces, and the general high cost of living, our budget has been stretched thin. One of the items that seems to be stressing our budget regularly (as opposed to high one-time expenses) is life insurance. On one hand, life insurance is very important. Should something happen to B or me (or both of us), life insurance could be the difference between the kids (and B or me) being strapped for cash and having financial legroom. On the other hand, life insurance isn’t cheap. It costs a lot and we could put that money towards home repairs or to add some much needed bulk to our savings account. For now, we are keeping the life insurance. However, if things tighten up more, we’ll need to make some tough financial decisions. Do you have life insurance? If so, do you find that it stretches your budget? 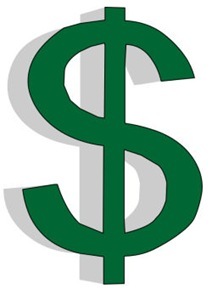 NOTE: The 3D dollar symbol above is by vijayrajesh and is available from OpenClipArt.org. We indefinitely have life insurance, and while it is a cost to our budget, it doesn’t seem to be any more stretching than our other insurance is, i.e. auto, home, health, etc. in fact, if I were to give one that stretches our budget, it’s definitely the health insurance.